M.C. Taylor fills his latest album as Hiss Golden Messenger with breezy, bouncy songs that make for a lovely alt-country record. 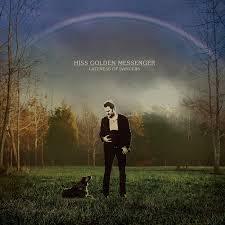 The release date for the latest Hiss Golden Messenger album seems rather appropriate, falling right near the end of summer, right before the leaves start to change and the smell of barbecue can still be found in the air. Lateness of Dancers certainly fits the season, as Hiss Golden Messenger main man M.C. Taylor filled the album with plenty of breezy, bouncy alt-country tracks, a lovely listen for a drive down a tree-lined parkway or while lounging in the backyard as the sunlight starts to soak into your skin just as autumn starts to arrive. "Saturday's Song" lies at the heart of Taylor's latest release, four-and-a-half minutes of easygoing Southern-style folk-rock extolling the virtues of the weekend. The easygoing nature of Lateness of Dancers, the first Hiss Golden Messenger album to be released on Merge, may not make the album seem like a heavy hitter, but Taylor's latest effort is a lovely one.